How much is Nick Collison Worth? Nick Collison Net Worth and salary: Nick Collison is an American professional basketball player who has a net worth of $25 million. Nick Collison was born in Orange City, Iowa, in 1980. He played college basketball for the University of Kansas Jayhawks from 1999 until 2003. In 2003, Collison earned consensus first team All-American honors, was named the Big 12 Player of the Year, and earned the NABC Player of the Year Award. The Seattle SuperSonics drafted Collison with the 12th overall pick during the first round of the 2003 NBA Draft. He played for the SuperSonics from 2003 – 2008. Technically he continued playing for the Sonics for the remainder of his career because for the 2008-2009 season the team moved to Oklahoma and became the Thunder. Collison, a six-foot-ten, 255-pound power forward and center, also played internationally as a member of the U.S. men's national team. He helped the team earn a gold medal at the 2003 FIBA Americans Championship held in San Juan. Through the end of the 2018 NBA season, Collison appeared in 910 games and averages 6.5 points per game to go along with 5.6 rebounds and one assist per game. He's also played in 91 playoff games over the course of his career. Collison has one child with his ex-wife, Robbie Harriford, whom he married in 2007. 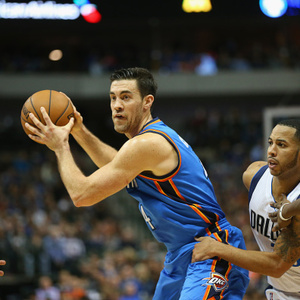 Throughout his 15-season career, Nick Collison earned $58 million in salary before taxes.